We offer customers a broad choice of solutions, from basic business communications to sophisticated unified communications. We bring industry insight, guidance and support for a wide range of carriers and their specific offerings. Our team of trained professionals will use the information we gather from our discovery process and position a Hosted product if it’s the best solution for your needs. Telecommunication systems and services are the primary means by which companies communicate with their customers, vendors and employees. A well designed and supported telecom solution allows companies to realize amazing strides in customer service as well as employee productivity and efficiency. So why don't the majority of business owners and decision makers take the necessary time to thoroughly investigate the available products and representatives that will ultimately be the key to whether the solution is a success or simply an expensive replacement? The simple answer is that while most managers and owners know that communications are one of the primary key enablers for success, they quickly get overloaded with information about product features that don't address their cause. This is because the telecom industry is littered with dealers who don't take the time to find out how you do business and what communication issues are holding you back. The responsibility of a good telecom partner is to find out what your pain is and apply their products into a solution. At Interconnect Systems we can help you distinguish the difference between real technology that can help your business and the current hype of the day. Because, no matter how neat and cool a feature may be, it's not a solution, or a value, unless it solves a real problem. Savvy business people give voice and data telecommunications the attention they deserve and we know that takes time and energy. But at the end of the day that company will show substantial improvements in overall performance and achieve a profound competitive advantage. At Interconnect Systems we can become your competitive advantage! 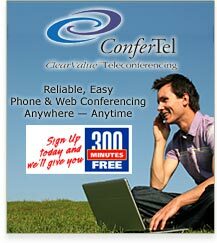 Let us show you that there is difference in telecommunications companies! Proudly serving customers in Huntsville, Madison, Decatur, Florence, Shoals, Scottsboro and beyond.